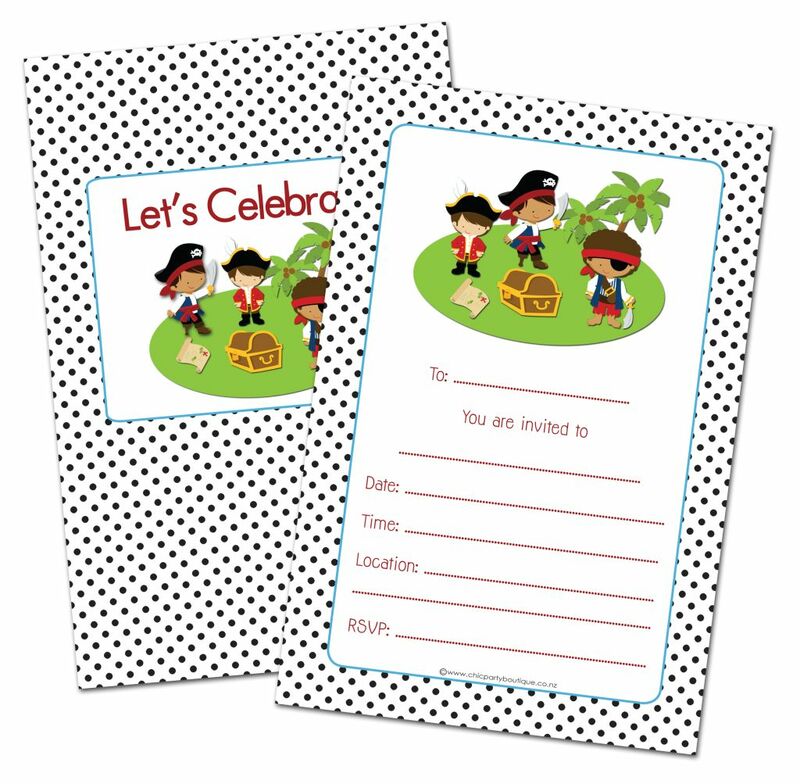 This awesome set of Pirate themed invitations will be a hit with boys who love all things pirate! Each stationery package contains 12 invitations (printed on both sides) measuring 124mm x 188mm. The invitations are printed on 300gsm card to ensure a quality finish every time. 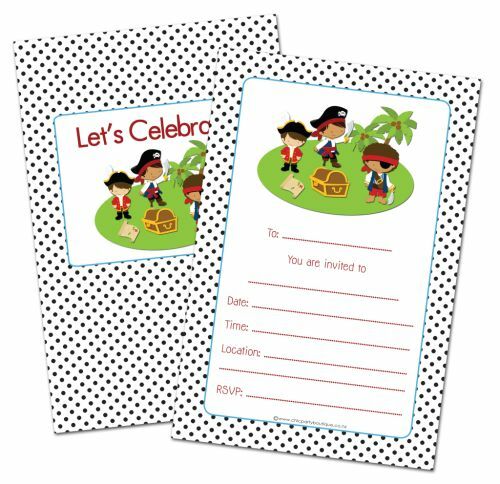 Also included are 24 themed stickers which can be used for things like party bags, cupcake toppers or thank you cards. Amazing value, just a few sets left before this design is retired. Act now before you miss out! Click the image below for a closeup of the design.